Back to Basics: Dynamic IP Vs. Static IP - Something New Everyday! 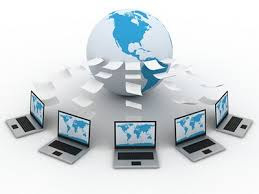 Static IP addressing is for one customer on one IP address and Dynamic IP addressing assigns a different IP address each time the ISP customer logs on to their computer, but this is dependent upon the Internet Service Provider (ISP) because some ISP's only change the IP address as they deem it necessary. If you have Dynamic IP Addressing through your Website Host it means that you are sharing an IP Address with several other customers. If you are a beginner on the internet, an avid internet user, are entertaining the thought of starting your own website business, are a gamer, use VOIP or VPN there are several things you should know about IP Addressing. If you feel the need to always know what your IP address is then you need a Static IP address, because it is constant. Static IP addresses are more reliable for Voice over Internet Protocol (VOIP), more reliable to host a gaming website or to play X-Box, Play Station, use Virtual Private Network for secure access to files from your company network computer, etc. Static IP addresses are also great if you use your computer as a server, as it should give your file server faster file uploads and downloads. Another plus with Static IP's, when hosting a website you are not sharing your IP with another company who sends out a lot of E-mail SPAM and not only has their website been shut down but in turn gets your IP address blacklisted. In contrast a static IP address can become a security risk, because the address is always the same. Static IP's are easier to track for data mining companies. Static IP addressing is less cost effective than Dynamic IP Addressing. The biggest advantages of Dynamic IP Addressing are less security risk as the computer is assigned a new IP address each time the customer logs on, they are cost effective and there is automatic network configuration (the less human intervention with network configuration the better). Dynamic addressing is usually used by ISP's so that one IP address can be assigned to several users, however some ISP's use Sticky Dynamic IP Addressing and do not change the IP address very often. Dynamic IP Addressing can be used by families with several computers or by a small business owner who has a home office. The software that comes with a router allows for Dynamic Host Configuration Protocol (DHCP) setup and assigns each computer attached to the router an IP address automatically. In contrast, Dynamic IP addressing should not be used for VOIP, VPN, playing online games or game hosting because Dynamic IP addressing is less reliable then Static IP addressing and could cause the service to disconnect while you are on a VOIP, VPN or gaming.